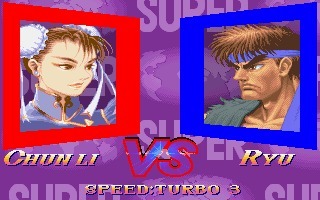 Super Street Fighter II Turbo is a competitive fighting game created by Capcom and released initially as an arcade in 1994. 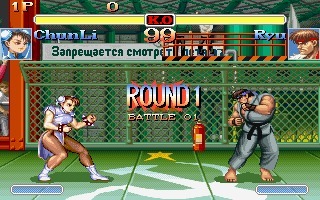 It is the fifth game in the Street Fighter II series, but only the third, after Street Fighter II and Super Street Fighter II: The New Challengers, to be ported to PC and Amiga. 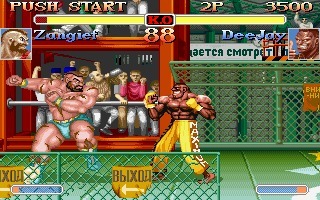 The DOS version was developed by Eurocom and released in 1995. 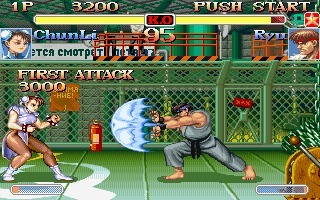 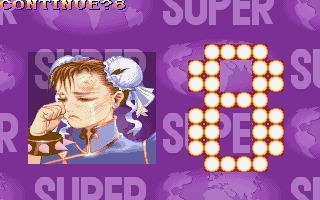 Compared to the original Street Fighter 2, this Super Turbo version offers four new characters (reaching a total of 16), new locations, and super combos. 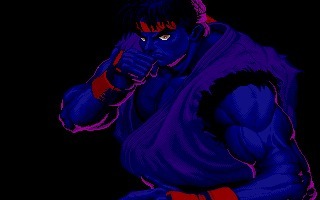 There is also a secret character called Akuma. 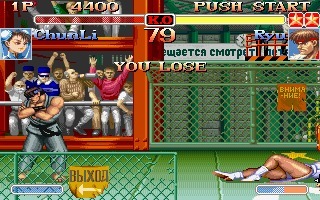 The 3DO port, released at the end of 1994, was one of the most popular games for this platform, featuring remastered music and highly optimized disc access times. 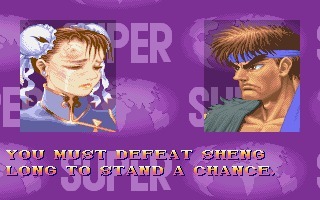 However, it was missing parallax scrolling in the backgrounds and many animations. 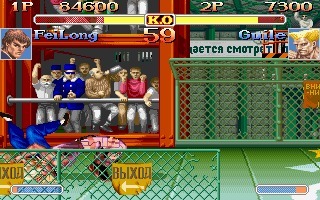 The PC version was much more faithful to the original; the main difference was the resolution: while the original arcade was 384x240 pixels, the DOS game was running at 320x200. 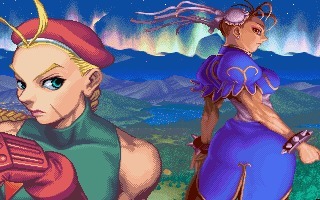 Since the sprites were not redesigned, they look much bigger on PC compared to the arcade. 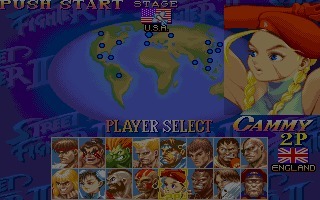 Super Street Fighter II Turbo is still played today and it's one of the most appreciated chapters of the popular franchise.